Our passion is to deliver the best fire protection in Gold Coast with our intensive fire safety procedures. Our systematic approach makes risk assessment more accurate and implemented by our licensed expert technicians. Our wide range of fire safety services includes installation, servicing, and testing of every fire safety equipment. We make the most of portable fire safety by providing quality portable fire extinguishers. 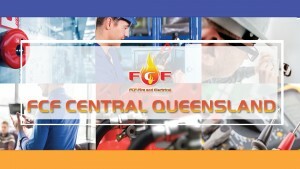 Our experienced licensed electricians will make your home and business safe from electrical fire. We'll make sure that every emergency exit lights are working properly and will shine the brightest during emergencies. Fire compliance includes expert advice and complete service implementation that comply with all the fire safety Standards according to your local council.